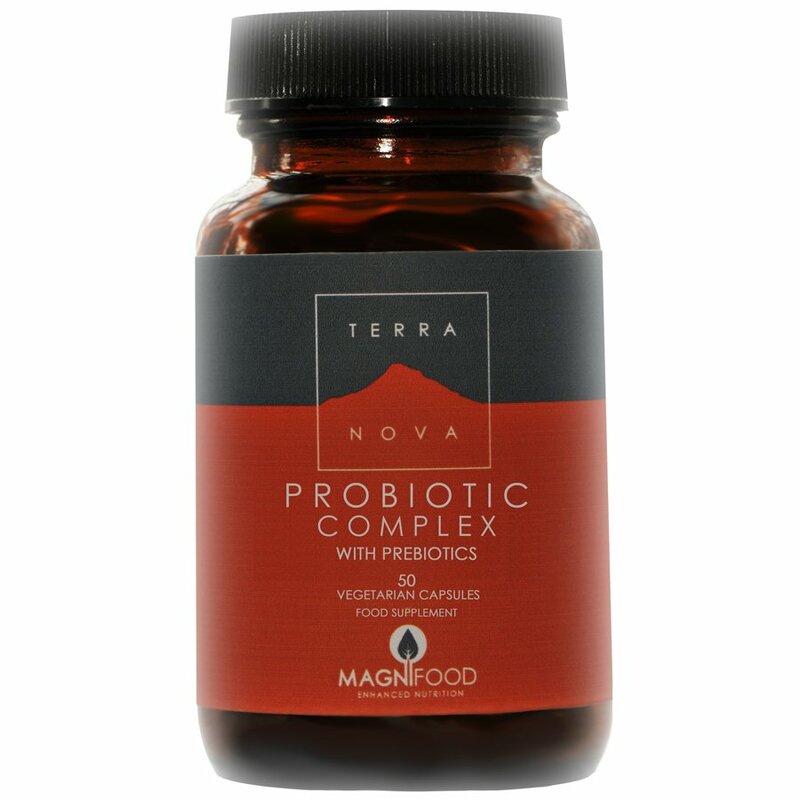 This Terranova probiotic complex with prebiotics is a daily nutritional supplement developed to aid healthy digestion. This complex is a capsule made from burdock root, beetroot juice, beetroot greens and stabilised rice bran (SRB) in pure, unadulterated form. 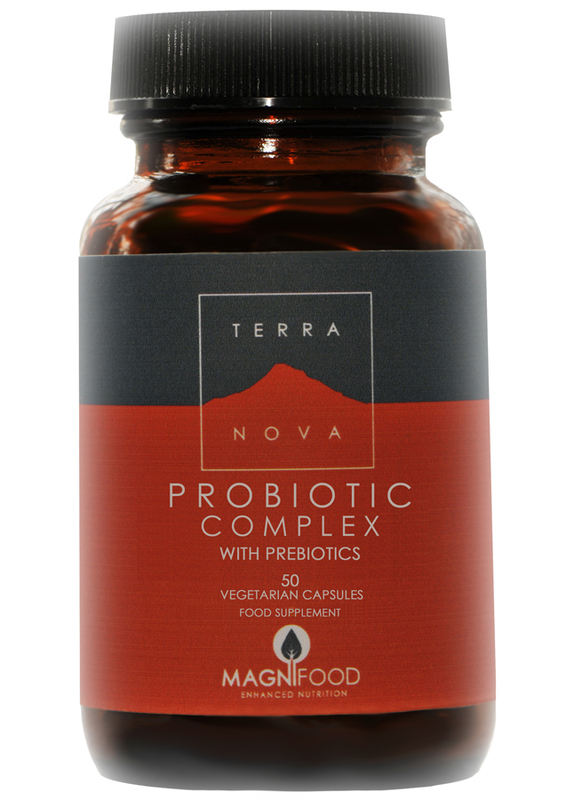 By using freeze dried organic, plant-based ingredients Terranova maintain ingredient integrity and harness the very best of these superfoods’ powers. Burdock root enhances beneficial bacteria while beetroot provides prebiotic and probiotic immune supportive oligosaccharide inulin. SRB is a good source of insoluble and soluble forms of fibre.